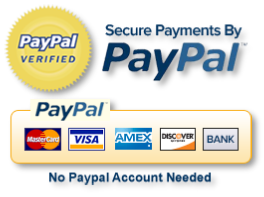 We offer online payment options through PayPal, the internet’s fastest, easiest & most popular online payment service. Simply click ‘Pay Now’ and you’ll be taken to our PayPal site. Just fill in the agreed upon amount and follow the simple instructions. NOTE: Please contact us via phone or email prior to making any payments to confirm an exact price for our services. Come and enjoy this breathtaking venue with a Colorful Polynesian show by our very own Paradise Of Samoa dancers, and our Polynesian Band playing live music during the performance. Our Island feast fits the taste and appetite for all with BBQ Polynesian style chicken, Roasted Kalua Pork, Samoan Chop suey, Marcaroni salad, Chicken noodles, Steamed Rice, and a variety of salads and dessert. Top it off with our fire show by our fearless dancers. This is your last opportunity to see these amazing youths before the end of their season. Tickets - Adult - $20.00, Youth from 6 to 12 - $15.00, Seniors - $15.00. Get your tickets from any of the dancers or click below for our Paypal.